We’re excited to announce the confirmation of Ambassador Mark Green as USAID’s new administrator. 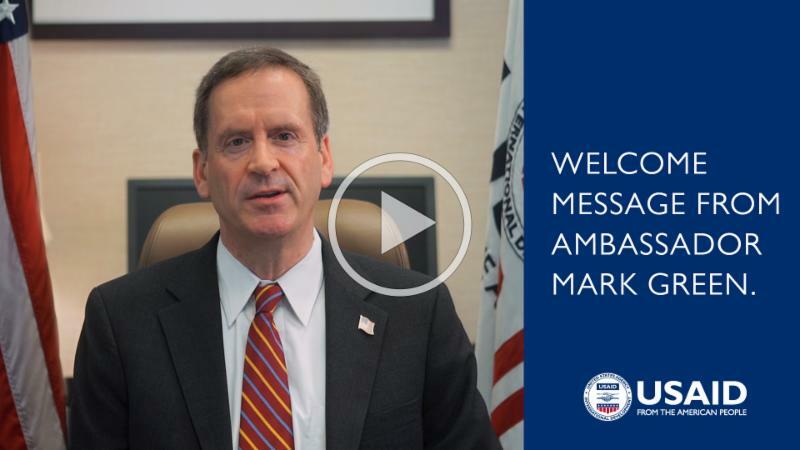 Ambassador Green highlights his vision for USAID in the welcome video above. We also invite you to learn more about the experiences that have shaped his perspectives on American foreign assistance in the “7 Facts You Might Not Know About USAID’s New Administrator” blog. You can now follow the new administrator on Twitter at @USAIDMarkGreen. Continue to find stories and information on USAID’s work on Twitter and Facebook.